Transforming Hollie: The most wonderful time of the year! I am actually excited about Christmas this year! The kids and I put a tree up (sometimes we don't) and we have been focused on all the blessings this year has given us. Our pastor has had three excellent sermons on Christmas this month that I'm thankful for. My Christmas spirit is definitely on high! The cat has basically destroyed our little tree, which ticks me off. She is living in the garage until Decembet 26! I didn't realize until today how much technology played into my workout! I started on the treadmill to do intervals, but I couldn't get my music app OR the nike app to work! I was about ready to fling my phone across the gym because I was so mad, but after turning the phone off and back on I at least got my music to work. It was at this time I realized I had forgot to turn on my HRM! So it took a good 13 min to get it together, but I had a good workout. 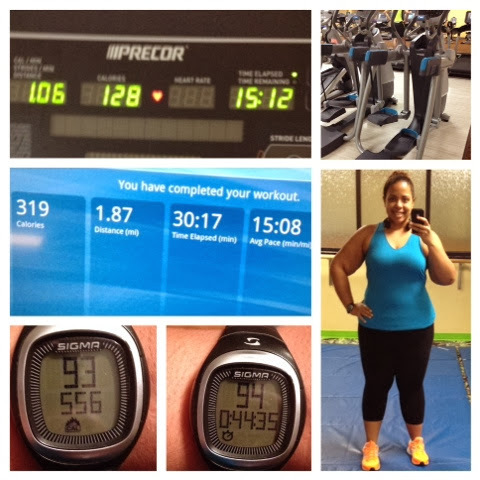 30 min on the treadmill, 15 min on a new machine that's a cross between a stepper and an elliptical? Not sure what it's called. This morning I practically rolled out of bed. Everything is sore! But I'll still work out today... Maybe a walk in the park? And my friend is going to join me this evening for Pilated and Fuse, which should be fun. I'm gonna watch Hungry for Change this morning as another step in preparing for my Daniel Fast. I'm looking forward to it... But I know it's going to be a big deal. I'm going to incorporate some juicing in there, too. Although I've been doing great with exercise, my eating hasn't been the best. I made a lasagna for dinner last night (haven't made lasagna in 10 years prob) and it was so good! I'll start doing some baking for Christmas tonight and tomorrow. But it will all be over by Friday. 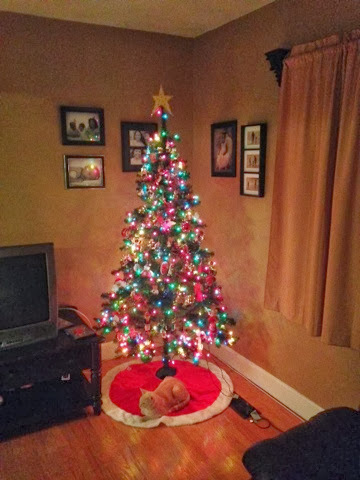 "The cat has basically destroyed our little tree, which ticks me off. She is living in the garage until Decembet 26!" I have seen that blog, it's looking very nice and having good use of content about the fat Loss.